TravellingCamera, earlier known as Photo Journey, has come a long way since the first post was published in July 2008. What started out as a solo travel blog is now so much more. It has been an enriching journey and full of learnings too. We have evolved and grown and have come a long way. We can't say that it has been a cakewalk, but it has definitely been exciting. We were asking ourselves, what did it take to reach here. The answer is not simple, simply because there is no single factor. One of the most important step was getting started of course. When I wrote my first post, I had no idea that 10 years down the line, I will be writing this post. It would be a lie if I were to say that I started out with this vision. And at the same time, it would also not be right to say that we just ended up here because of some fluke. I think the correct statement is that as we came along, and as the TravellingCamera family got bigger, we realized that there was so much more that we could do with this platform and we evolved with each of these learnings. We have so many reasons to be grateful to Travelling Camera and all our guest bloggers and readers. Because it is also because of them that we have managed to have the perseverance to do what it takes to keep this platform alive and kicking. We couldn't have done it alone. Our readers are an inseparable part of our journey. They have been with us through our entire journey and it is because of them that we feel the inspiration to write more. We have more than 6K followers on Facebook, 1600+ followers on Twitter, and 2700 + Followers on Instagram. And there are thousands who have subscribed to our email feed. Apart from our own desire to experience the world and to write about our experiences, it is also our readers' constant support, their generous likes, hearts, and comments keeps us going. To talk about 10 Million Views and then not talk about our guest bloggers will be a crime. These brilliant writers are an inseparable part of our journey so far. They have contributed some brilliant stories and incredible photographs. 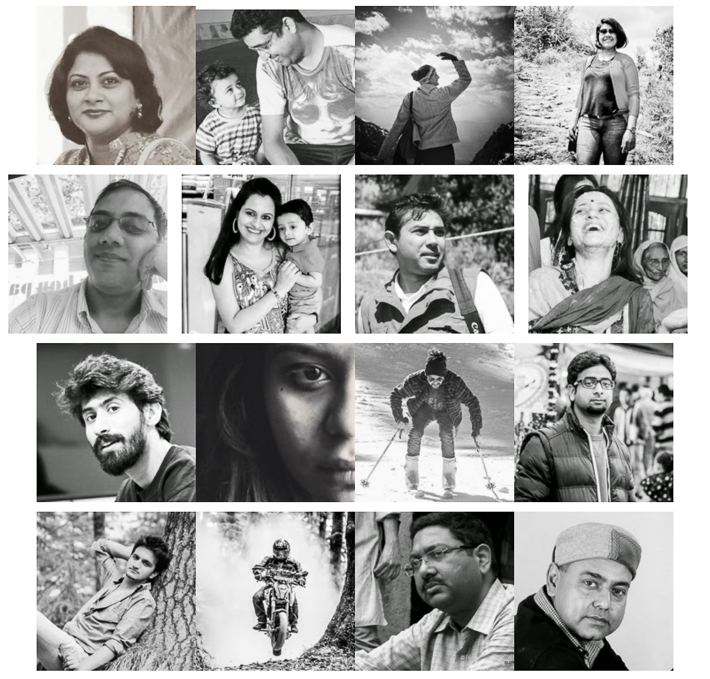 You can read about them and also their inspiring stories here at Travelling Camera. All your need to do is to click here. In the last 10 years, Travelling Camera has taken us through so many interesting experiences. 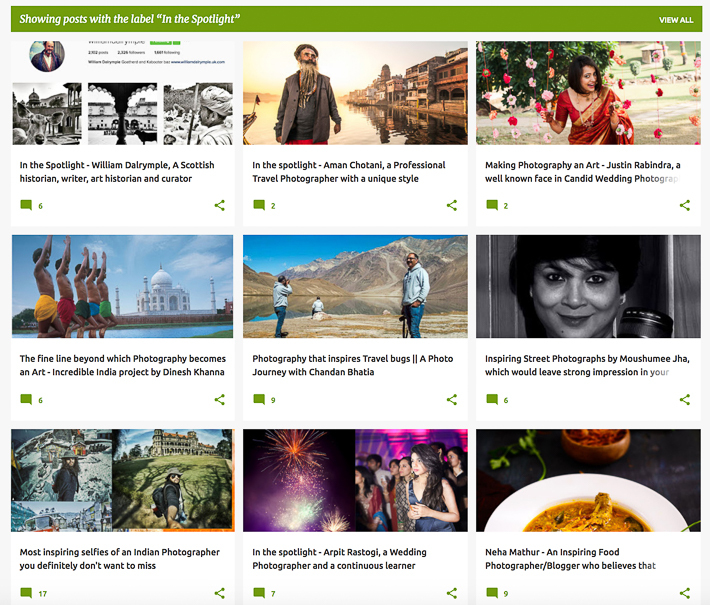 Not only have we traveled across India and also through some places around the world, we have also met some very interesting people through our "In the Spotlight" series. 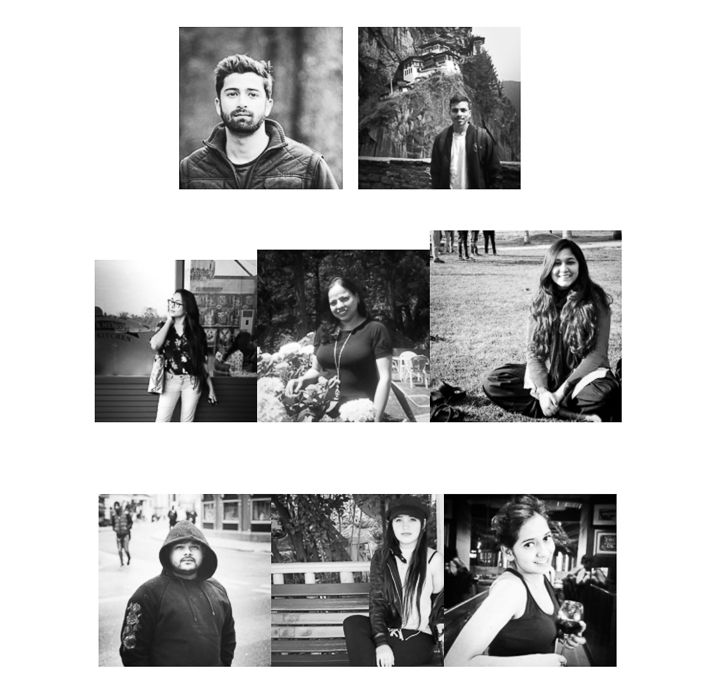 We have interviewed artists, photographers, musicians, writers, and several other inspiring people. Each one of our spotlighters excel in their respective fields and are doing path-breaking work. Here are some of the names - William Dalrymple, Dinesh Khanna, Anshul Kapoor, Shubham Mansingka, Ravi Dhingra, Amit Vakil, Panki Sood, Desi Traveler, Ankit Gulati, Tanya Mahendra, Joshi Daniel, Ishu Kler, Ajay Sood, Nipun Nayyar, Medhavi Davda, Aman Chotani, Chandrima Sarkar, Sammya Brata, Akash Deep, Sumit Sond, Shailesh Sharma, Arpit Rastogi, Amit Aggarwal. 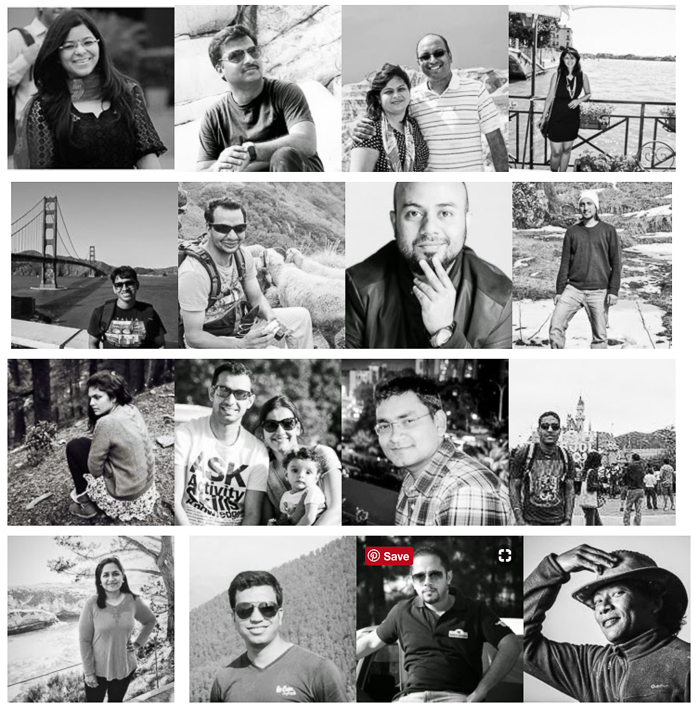 Travelling Camera has been extremely lucky for us, in the sense that it brought us in touch with so many of our blogger friends from across the geographies. Our blog has taken us to many blogger meetings, promotion events, and get-togethers and it has helped us expand our horizons not only in terms of knowledge, but also about various working styles out there. 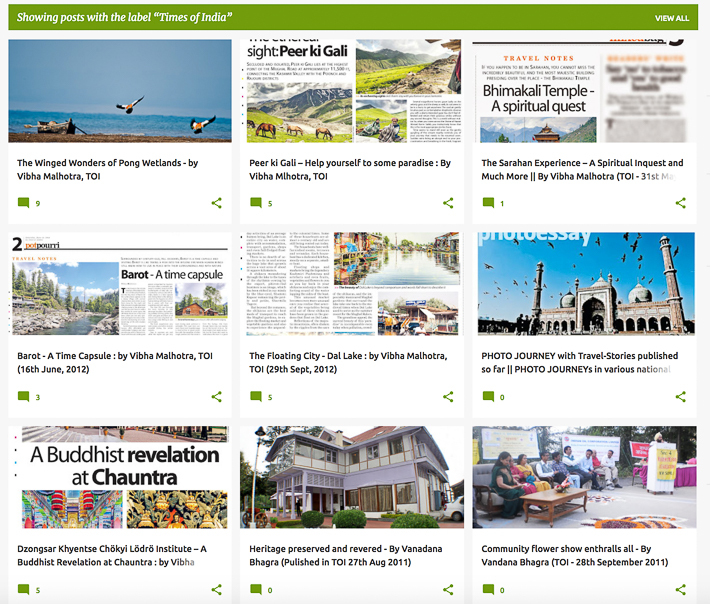 Through Travelling Camera and the blogging events, we have interacted with so many bloggers from various streams that almost each interaction teaches us something new. Click here to read about some bloggers we follow on Instagram. This is a very short list. 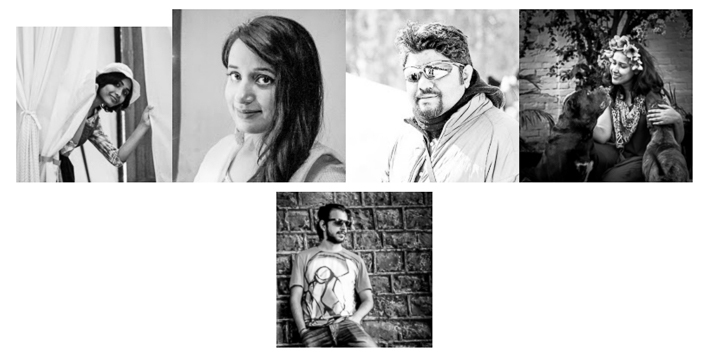 The list of bloggers who have inspired us is really long, and may be we will create one more list and share very soon. Travelling Camera has also given us enough opportunities to step out of our comfort zone and do something different. It has encouraged us to write for traditional media and brought us the pleasure of seeing our name in print. It was because of Travelling Camera that we participated in several competitions and won some of them. Travelling Camera also found a place on the Television and all of this makes us more inclined to get better and more creative. For people like us who are otherwise occupied in technical endeavours, Travelling Camera is the place where we can explore our creativity and experiment. And this has been particularly rewarding. The world of blogging has gone through several changes throughout the 10 years that we have been active here. I believe blogging was still in its nascent stage when we started and we have seen all the phases. We have tried to adapt to the changing realities while staying true to our soul. I guess it is the fact that we had enough support to keep writing and not give up is what deserves celebration the most and makes the 10 Million View milestone what it is. I would like to conclude this post by saying that you have been with us through all these years and we are going to keep writing and keep bringing to you stories from various parts of the world. And I hope that you will keep expecting nothing but the best from us. Cheers, to tougher and bigger milestones. Why not to buy DSLR cameras with dual lens deal?